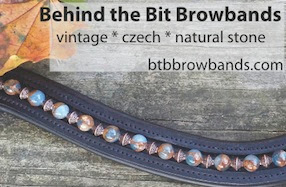 Behind the Bit: DIY Beaded browband: Can a non-crafty person do this? DIY Beaded browband: Can a non-crafty person do this? We will soon find out! 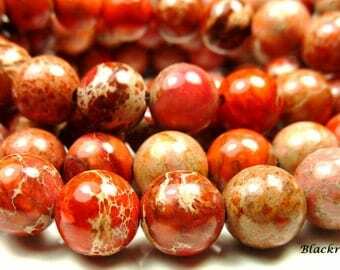 I bought an "empty" browband for $20, about $10 worth of tools and supplies, and maybe $10 worth of (orange jasper) beads. I have a booklet on how to do the beading and fastening. I have been an abject failure at most crafts. Even in eighth grade Home Economics, I was exempted from wearing the mandatory a-line skirt that I made. Even the teacher recognized it was just too awful to wear. The browband, however, is motivating. If this works I can make cool browbands for less than $50 (far less!). Hope the browband making goes well, you've put me in a mind to try it myself! Love the blog and seeing Ri's progression and Harvey updates, so a big thank you from Ireland for keeping me interested and entertained! A friend of mine invited us over to make custom brow bands. After seeing everyone elses custom browbands next to the ones I made, I felt sad that mine were just so boring... But they were fun to make! Good luck!